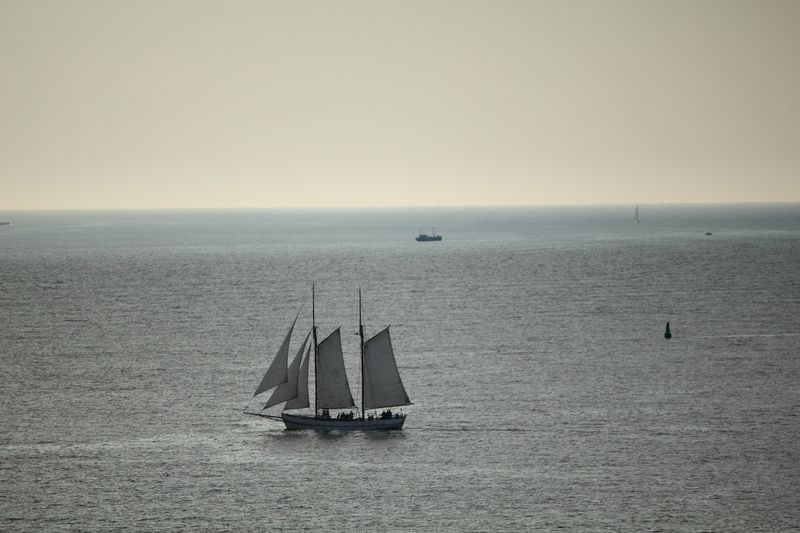 After going under the Ostbroen Bridge, we were now sailing on a northern course through the Sound that divides Denmark from Sweden. 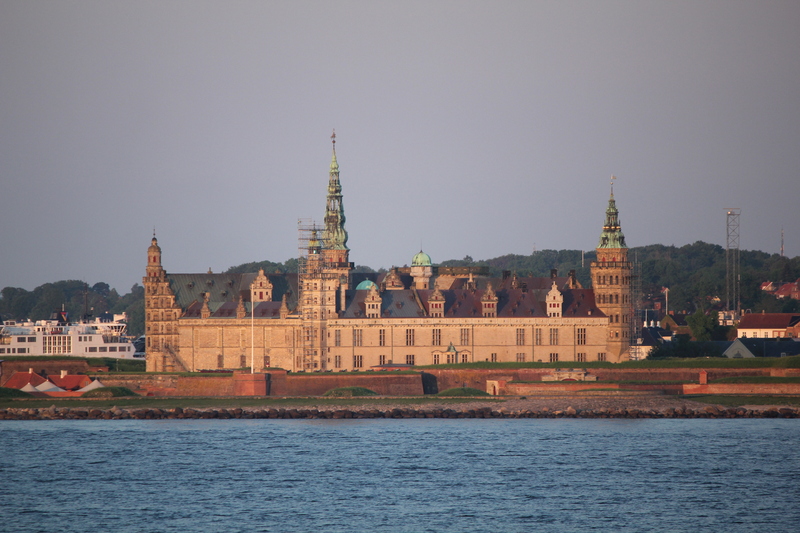 The narrowest part is 2.3 miles and separates the Helsingborg, Sweden from Helsingor, Denmark – and the Kronborg Castle in Helsingor. What’s special about this castle? It is considered the setting of Shakespeare’s Hamlet! The Celebrity Constellation docked at the Langelinie docks – a great location that has shops, restaurants and is an easy walk to the famous Little Mermaid statue. 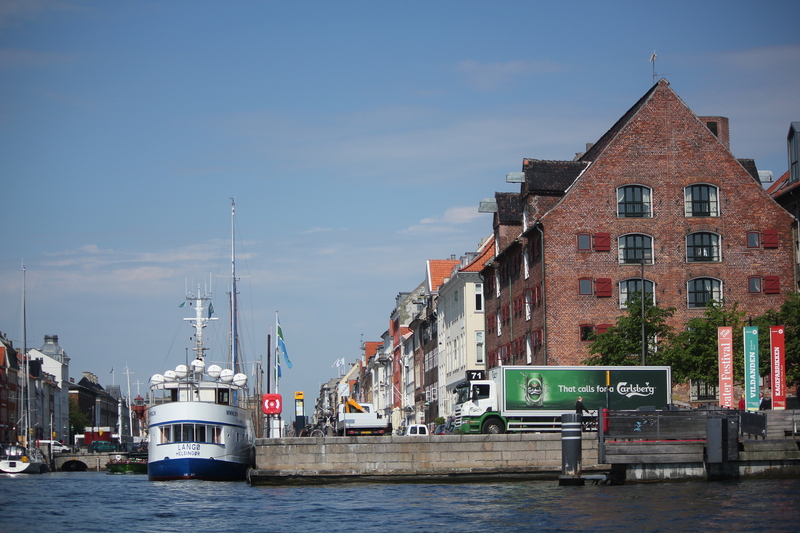 It is very easy to find your own way around Copenhagen – and I was looking forward to wandering around the city. Of course, it is also important to have a plan on what you want to see – and I had a plan! Because of the location of this dock, there are several ways to get into the city – a port shuttle, Hop On – Hop Off bus service and local transport located an easy walking distance at the end of the pier. 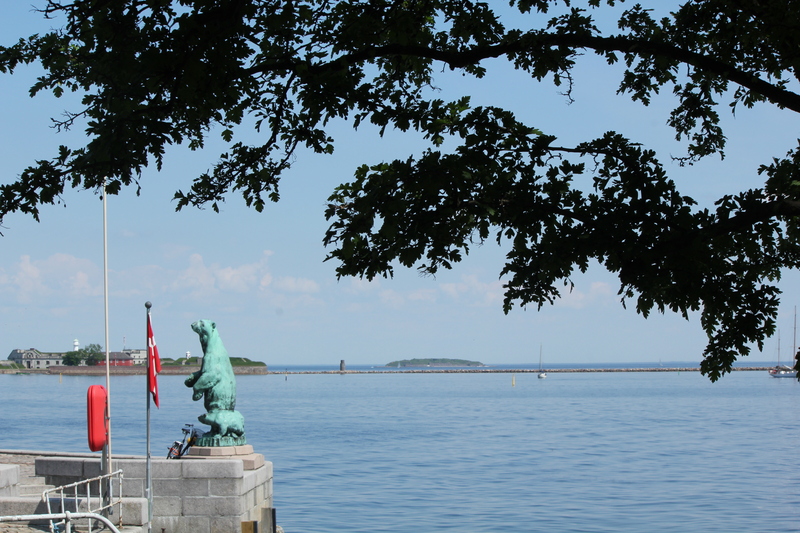 The first attraction to see from where we were docked is the famous statue of the Little Mermaid. 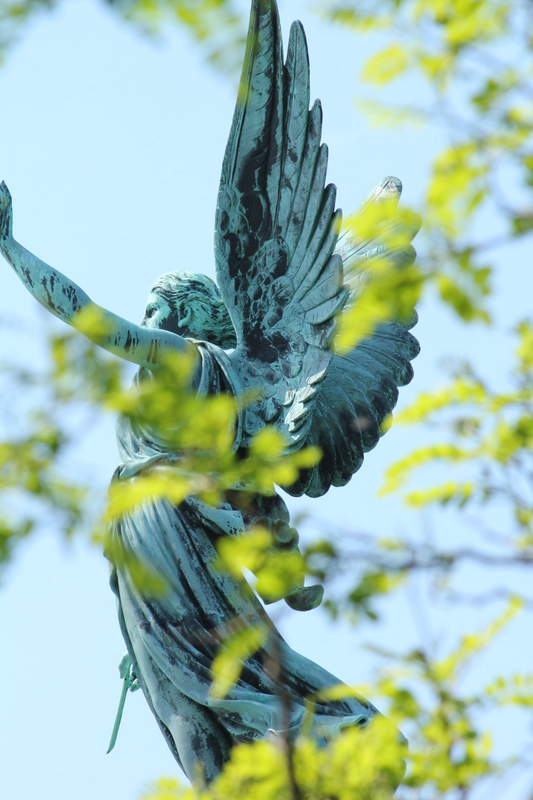 This statue has been damaged several times – and it is no wonder. It is very close to shore. 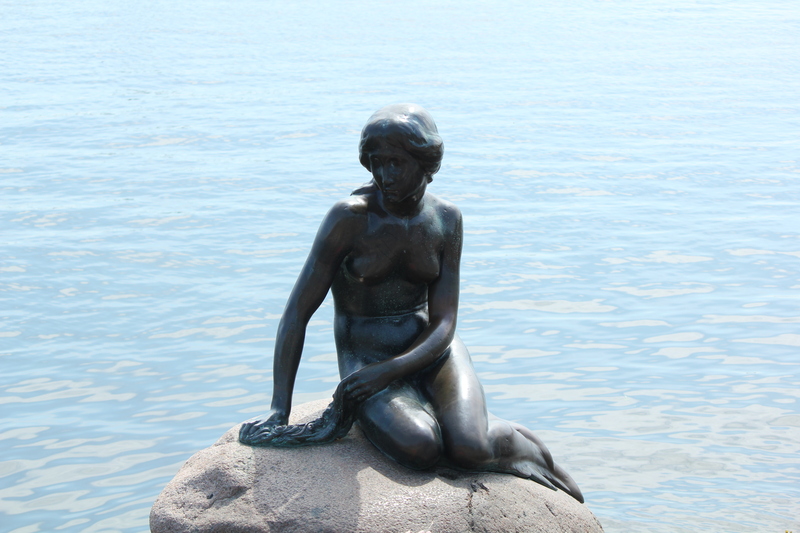 However, everyone wants a picture — and it is just expected to take one or two when in Copenhagen! 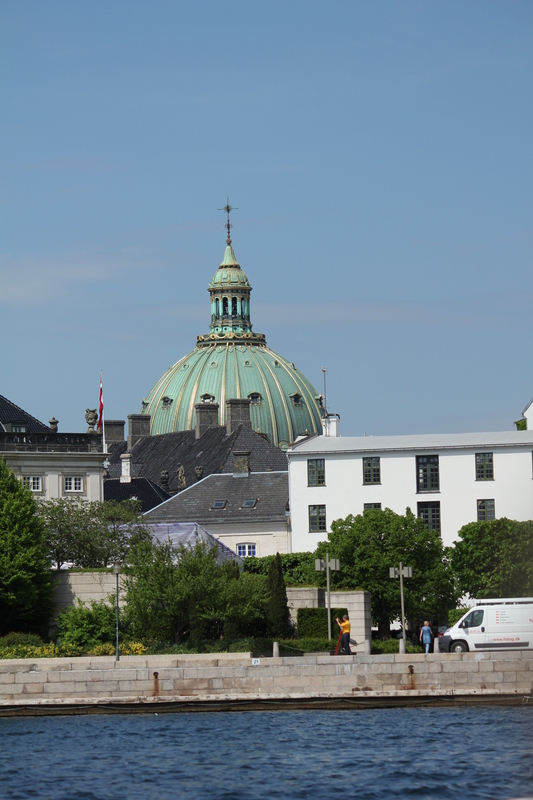 I hopped on a bus that took me into the city centre, passing highlights including Tivoli Gardens, the gardens and amusement park founded in 1843 and the Town Hall and, of course palaces. But, let’s remember, I had a plan! 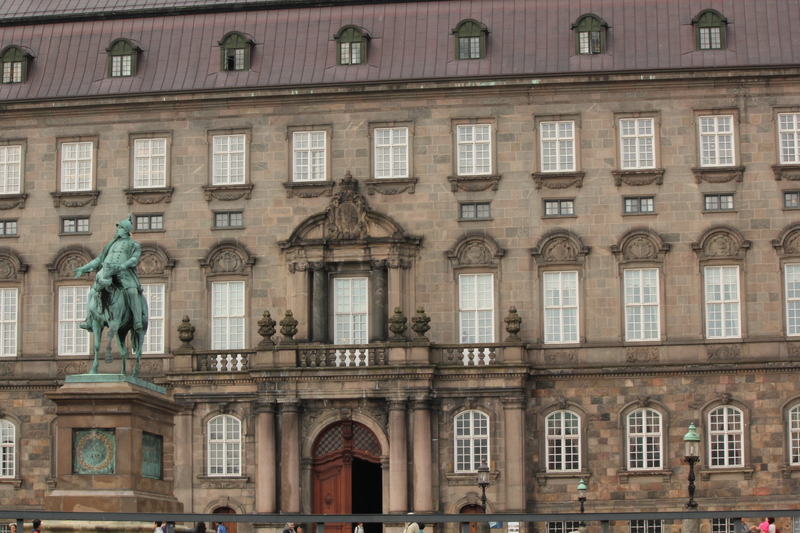 I decided to go to the Christiansborg Slot (aka Palace). 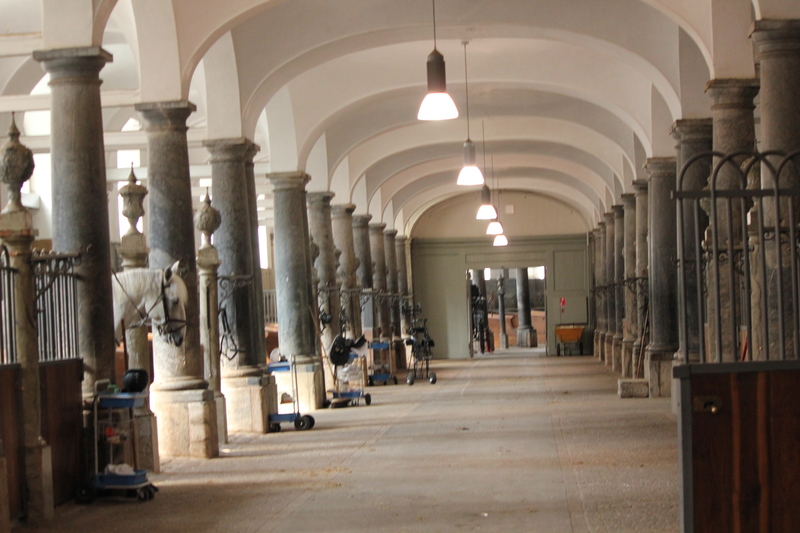 This is a very large collection of buildings that are used for official State events – and it includes my first goal of the day: the Royal Stables. I was surprised, when I got there, that the doors were wide open and I could just walk into the gardens are areas behind the façade. In the back, there was an area that looked to be a parade area. 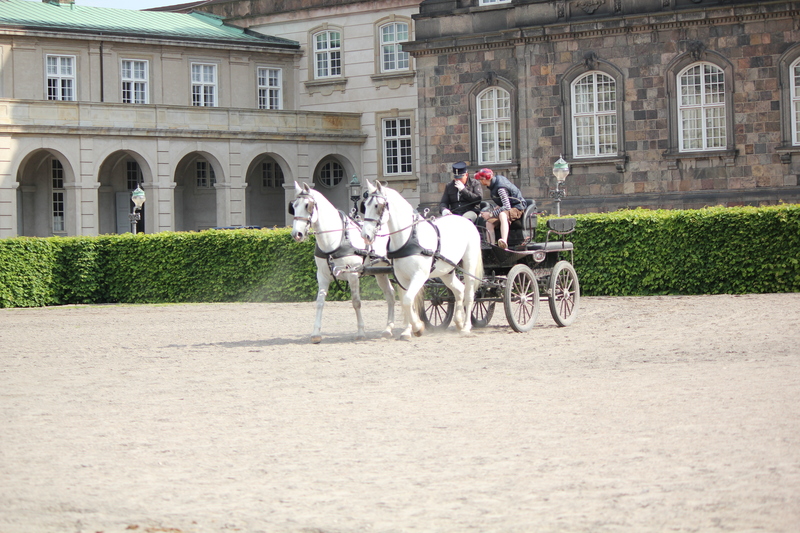 And soon, I found out what it was really used for – training horses for pulling the royal carriages! 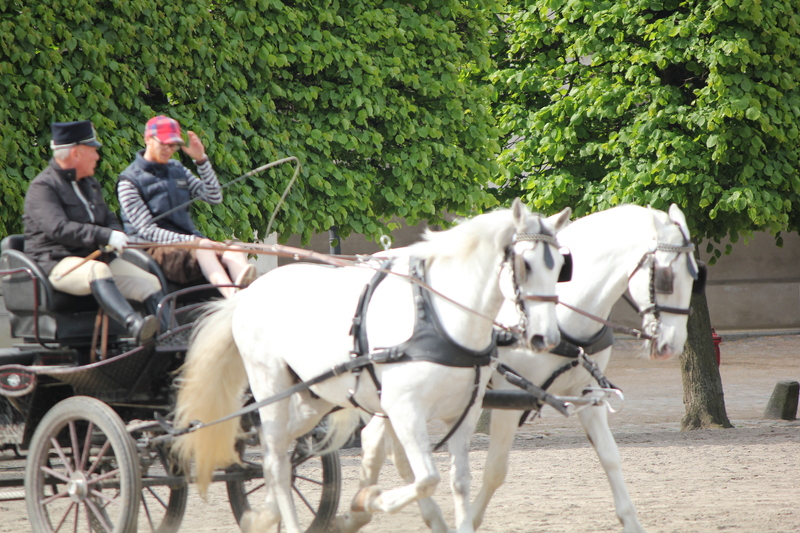 I watched as a pair of horses pulled a carriage, doing patterns like figure eights as they trotted around the area. It’s so cool when you find exactly what you are looking for so easily! The entrance to the stables was easy to find – the door was open and there was a sign to mark the entrance. I followed another couple into the stables where we were met by a very tall Danish man. 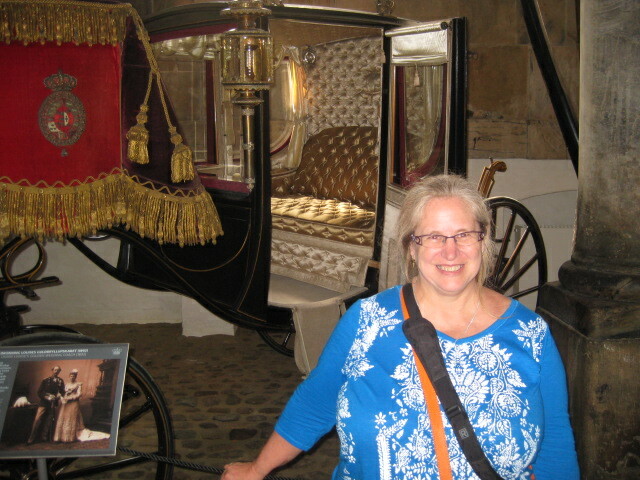 He informed us that they were not scheduled to do tours of the stables today, however, since there were just three of us, he would show us around the stables, then let us into the carriage house. His only request was to ensure we locked the door to the carriage house as we left. WOW!!! We learned all about the horses, where they come from, how they are trained, etc. Then, he unlocked the carriage house and left. 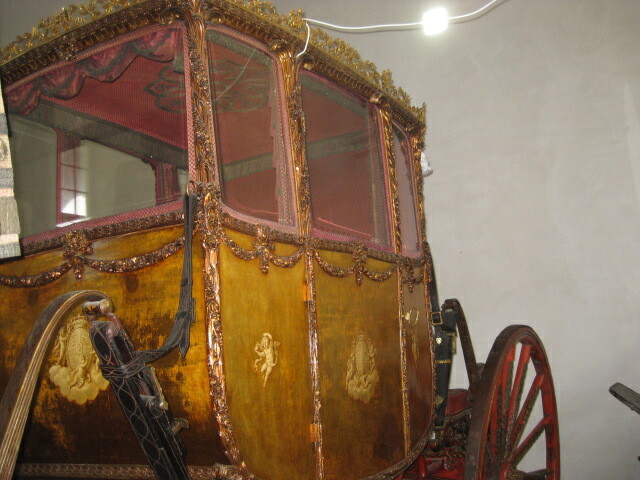 Each carriage had a plaque with a description of the carriage and sometimes a picture of when it was used. Let’s just say, I was in heaven! 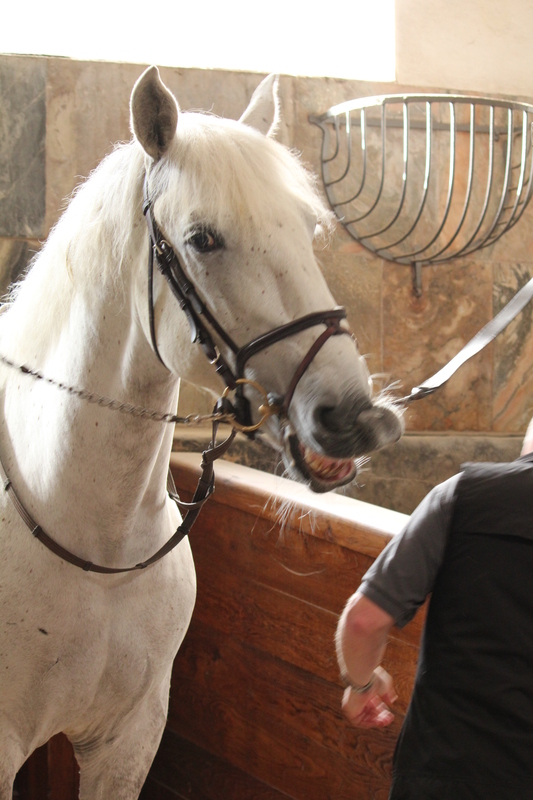 One of the Royal Horses saying hello! I think I’ll take this carriage today! After this, I wasn’t sure what I should do next – It was like I was blown away and all my plans could not match what I got to experience. 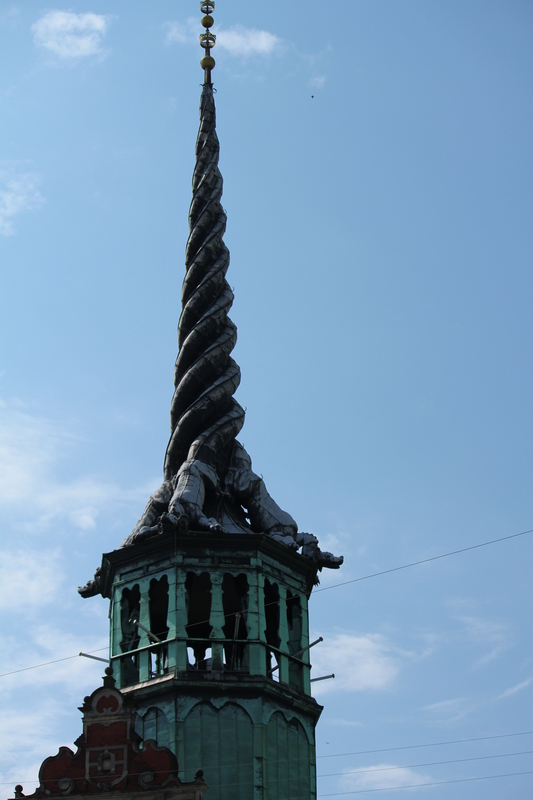 So, I did what I do best – I wandered around the streets a bit where I found the gardens behind the National Library, the Senate buildings, and a church with the serpent steeple. 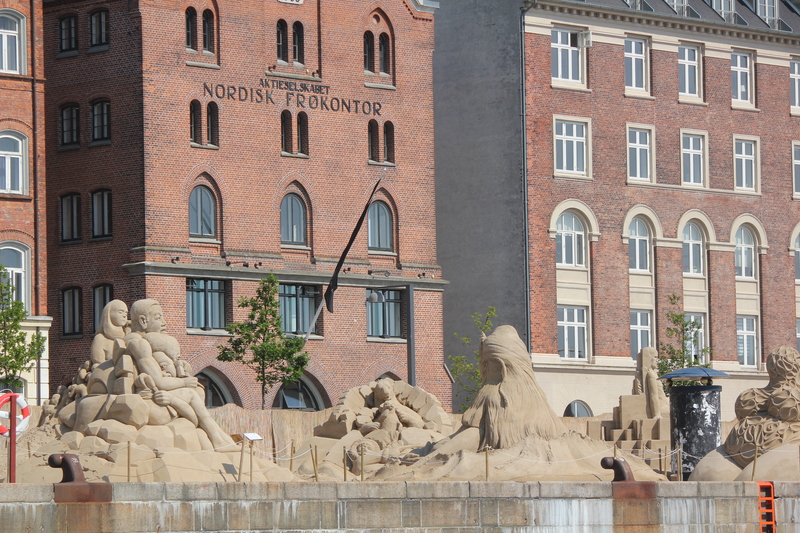 Wandering is good, but I thought it was time to see more of Copenhagen. 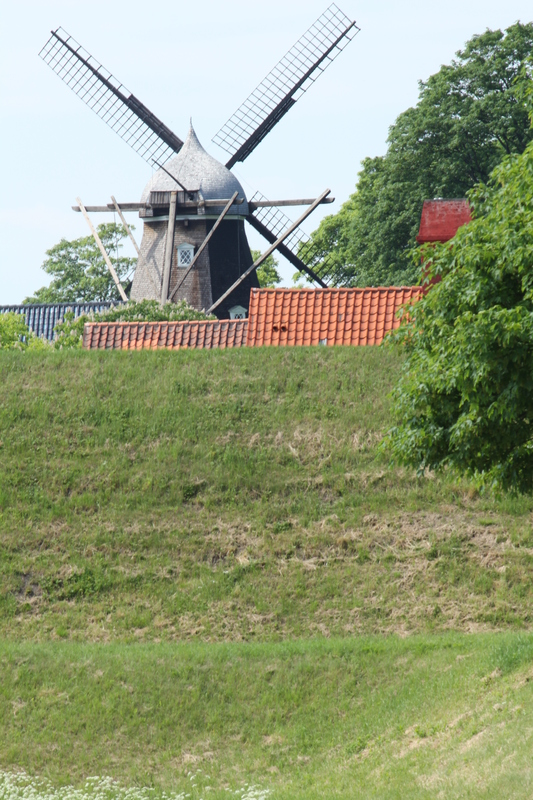 So, I took a canal tour and saw more of the city from a different vantage point. And I took a lot of pictures of things I found interesting. Copenhagen is a beautiful city. 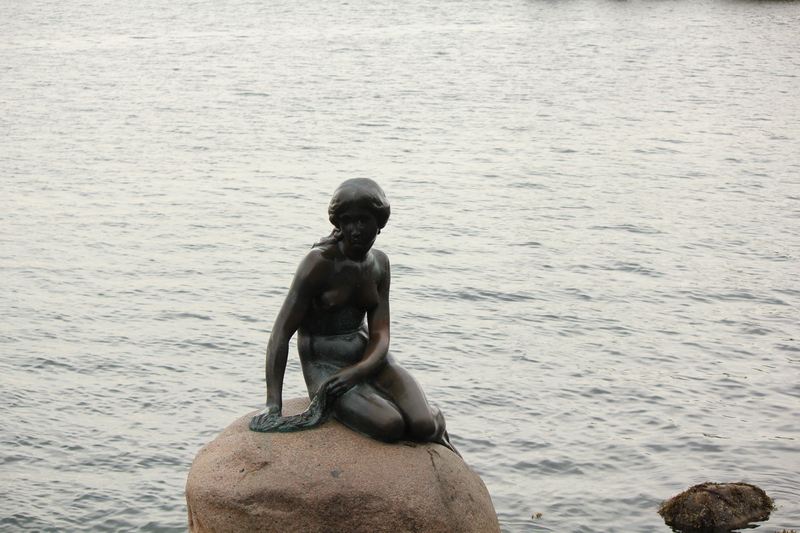 I ended my day in Copenhagen walking from the park near the Little Mermaid statue back to the ship. What a wonderful day! Once on ship, it was our last formal night – and everything was sparkling. I met some friends at the Martini Bar before dinner and enjoyed a fabulous dinner with my regular table in the dining room. The production show was “Celebrate the World” and was a lot of fun. Day 13: Finally, a Sea Day and a bridge! enjoyed reading it, you might be a great author. I will be sure to bookmark your blog and will often come back someday.